Saturday and Sunday night at Daytona International Speedway, race fans saw something completely different than anything NASCAR has presented in the past decade. The two-day, waterlogged weekend marked the return of NBC to television coverage — and they had a unique, yet interesting, approach. From pouring rain, to the Air Titans, to Joey Logano touring the grandstands during a rain delay, the NBC broadcast team did an amazing job keeping the fans entertained for three hours in the midst of some heavy rainfall on both days, waiting out the weather before both the NASCAR XFINITY Series and NASCAR Sprint Cup Series races. Through several entertaining hours listening to Krista Voda, Kyle Petty and Dale Jarrett, race fans learned a ton and found themselves in the middle of a cast of new and old. Petty and Jarrett have not raced in a while, but both have been in broadcasting over the past several years with TNT and ESPN, respectively. Voda comes to NBC after working with both the Sprint Cup Series and the Camping World Truck Series at FOX. The combination of the three — with a few driver interviews in studio from time to time — made things exciting and enticed fans to keep the channel on instead of switching to another late night prime-time show (or a U.S. soccer game, for that matter). Once the green flag finally flew, the three gentlemen in the booth blew it out of the water. For fans who may not know, Rick Allen comes to NBC after many years broadcasting as the lead voice at FOX for the Camping World Truck Series. He brings a level of excitement, a tone and a host of knowledge to the table that provides a welcome spice to the booth crew for NBC. The analysts in the booth beside him were two of the best racing has seen to date in broadcasting. Jeff Burton, a former multi-time winner and longtime Roush Fenway Racing driver, stood beside Daytona 500-winning crew chief Steve Letarte in what is coming along as a great combination. The mix of voices works well for the fans at home. Burton has raced within the last year or two and knows how the current car is driving to a certain extent. Therefore, he is able to give top notch descriptions when breaking down what a driver is doing inside the car. Last night we saw Burton execute perfectly. On the accidents that were deemed “the big one,” he was able to break down what the drivers do inside the cars and how spotters help you through a crash. For the average NASCAR fan that watches every week, that may not seem like a lot. However, for first time and new fans to NASCAR, Burton was spot on. Letarte provides an analyst who comes off the pit box and jumps into the booth knowing exactly what goes on. He can give fans insight on how crew chiefs make the calls they do, what tires to put on the car, what line to pick on a restart, and more. Combine the three? 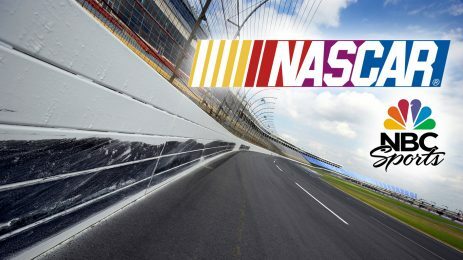 It provided a huge breath of fresh air to NASCAR’s television presentation and personally leaves me extremely excited for the rest of this season. Kudos, NBC. Thanks for some absolutely amazing racing coverage over the Fourth of July weekend. I think I speak for a lot of race fans when I say we are looking forward to what’s ahead. The opinions expressed are those of the writer and do not necessarily reflect the views of Race Chaser Online, Speed77 Radio, the Performance Motorsports Network, their sponsors or other contributors.